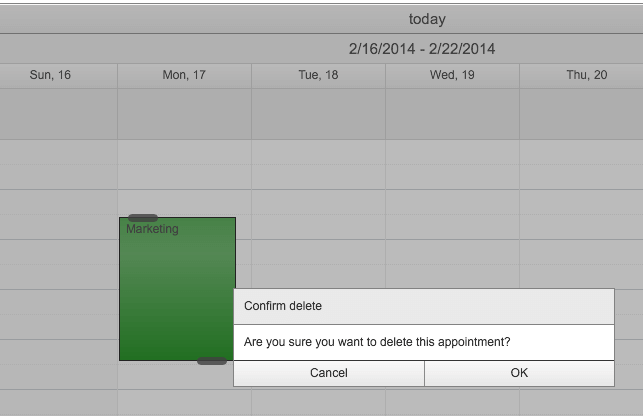 The RadScheduler confirmation dialogs are used to prevent accidently deleting an appointment or just to choose whether you want to delete/modify the selected occurrence or the whole series of appointments. Confirmation for deleting a not recurrence appointment. Confirmation for editing a recurring appointment. 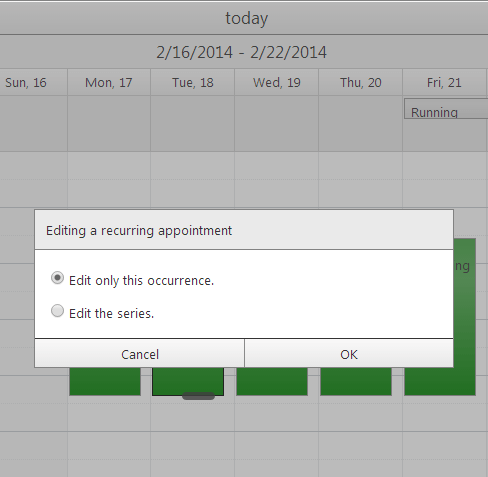 If you choose to edit this occurrence only it will create an exception appointment marked differently on the calendar. More info about exception appointments here. 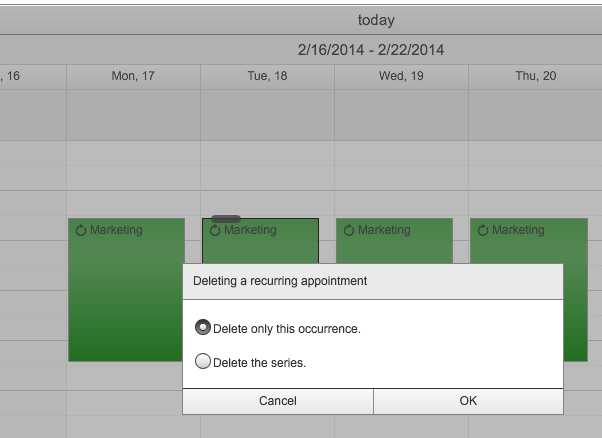 Confirmation for modifying a recurring appointment (including moving or resizing a recurring appointment). 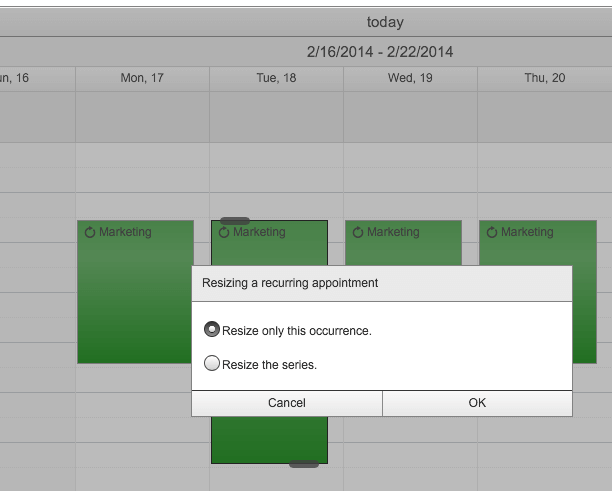 If you choose to modify this occurrence only it will create an exception appointment marked differently on the calendar. More info about exception appointments here. Confirmation for deleting a recurring appointment. You will be asked whether you want to delete only this occurrence or the whole series of appointments. 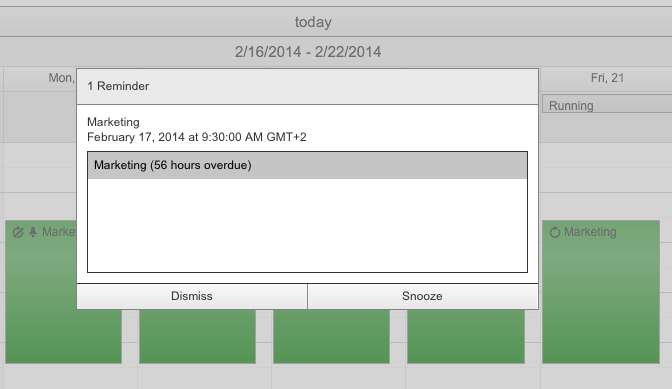 Reminder dialog - snoozing the reminder will show additional dialog with some additional options to choose from. 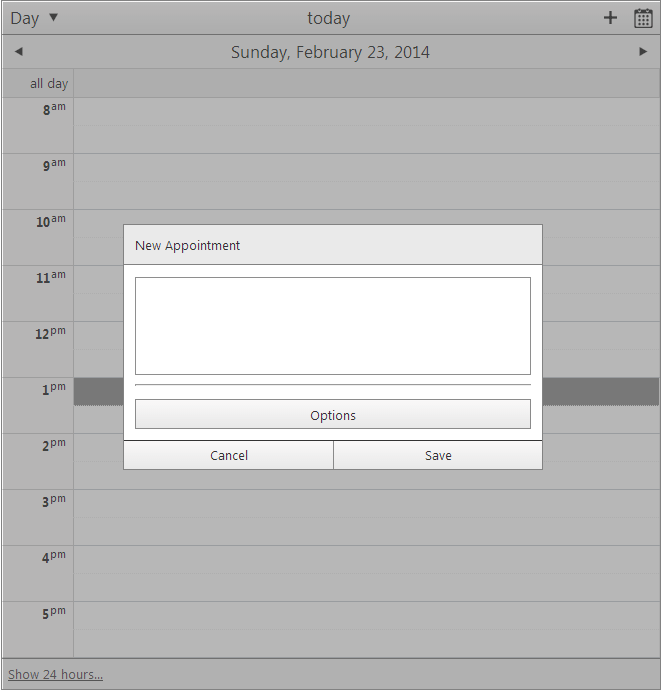 Inline Insert/edit dialog - quick insert or edit an appointment.